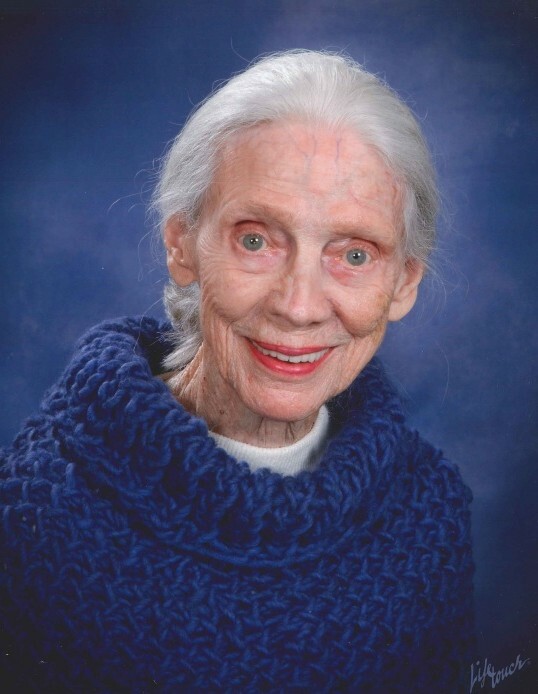 Evalee “Lee” Anderson, age 96, passed away in her home on Friday, November 2, 2018, surrounded by beloved friends and family. Lee was born February 12, 1922 in Plains, TX, to William Kyle and Jessie Pender (McCarter) Read and raised in the small town of Deport, TX. After graduation from Texas State College for Women in Denton, TX, Lee set out to see the world and embarked on what would become a lifelong passion for exploration and adventure. Armed with a degree in English and Journalism and little else, she boarded a bus headed for Knoxville, TN, where she took her first job. By the time she was 28, Lee had worked in journalism and public relations in Tennessee, Texas, New York City, Canada, Japan, Germany, and the Philippines, where she served in the Red Cross. Lee began her teaching career in Texas after her marriage to Stanley Pilgrim in 1951. Adored by her students—a few of whom remained in contact until her death—Lee’s popularity was due to her open-mindedness, sense of humor, and ability to listen. In 1972, Stan and Lee moved to the Manila, Republic of the Philippines where she learned to weave and volunteered at the Philippine National School for the Blind. After her divorce from Stan, Lee moved to Athens, GA and in 1976 married Robert C. Anderson, VP of Research at the University of Georgia. Lee was the editor of UGA’s Research Reporter for 10 years, winning multiple awards for the publication. Lee never lost her wanderlust and continued to travel the world into her late 80s. After retirement she became active in volunteerism and the Unitarian Universalist Church. Over the last four decades in Athens, Lee has nurtured an ever-growing group of friends—young and old. She was loved for her enthusiasm for new things, people and experiences, her desire to expand her mind and to constantly evolve as a human, and, above all, her grace. She is survived by her son, Kyle Pilgrim, daughter, Kate Pilgrim, step-daughter, Peggy Bailey, step-son, Bill Anderson, grandchildren Aidan Pilgrim, Vanna Pilgrim, Stephen Bailey, Robert Anderson, and Kelly Anderson and great-grandchild, Pilgrim Cook. A memorial service will be held on Saturday, December 1, 2018 at 4:00 pm at the Unitarian Universalist Fellowship, 780 Timothy Road, Athens. In lieu of flowers, memorials may be made to the Presbyterian Children’s Homes and Services, Austin, TX.